I recently took a “reset day” to get my priorities in order. Part of the “reset day” is to do a brain dump: unloading all the tasks which are on your mind. Unfortunately, unloading all the tasks in my mind flooded my to-do list with more tasks than I could handle. Even if you don’t write down everything on your mind, maybe your to-do list has become unmanageable. How do we reign in our tasks and manage our to-do lists? Through simple evaluation. We need a quick way to evaluate how important a task is and how long a task will take. The benefit of evaluating tasks is that it can work in any system. Do you use Getting Things Done? Great. Evaluate your tasks and put them on the right lists. Maybe you use online task managers like ToDoist (a personal favorite of mine). Perfect. Now use this easy schema to know how and when to check off tasks. These are tasks that you, and only you, can accomplish. Remember your calling: You are a shepherd of God’s flock. You don’t need to do everything for your church. You need to do the best things: what you’re gifted to do. Love meeting with leaders one-on-one? Then meet with leaders. 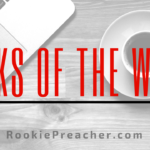 Love preaching? Carve out time for sermon prep. Make sure you are filling the “niche” that God has called you too. Some tasks can’t be accomplished right away, so delay them. It’s only procrastination if you never intend on finishing the task! If you’re waiting for a response, don’t bog down your productivity with pointless patience. Delay the task, move on, and then get going again. [The] default behavior when receiving an e-mail message is to not respond…This tip can be uncomfortable at first because it will cause you to break a key convention currently surrounding email: Replies are assumed, regardless of the relevance or appropriateness of the message. There’s also no way to avoid that some bad things will happen if you take this approach. At the minimum, some people might get confused or upset–especially if they’ve never seen standard e-mail conventions questions or ignored. Here’s the thing: This is okay (emphasis mine, pg. 255). If you can’t delete a task, but you’re also not called or equipped to accomplish it, you need to delegate it. Delegation is a key part of equipping the flock. When you seek to equip the flock, make sure you are not practicing what Hans Finzel calls “dirty delegation.” Dirty delegation refuses to let go of control. Growing leaders want responsibility and the affirmation that they are competent to do a good job. Affirmation comes through delegating meaningful tasks to them and following up in an appropriate way. By delegating tasks, we stay in the middle of our calling and help train up other leaders. Working in the church can be overwhelming. With so many needs, responsibilities, and disparate tasks vying for our attention, we can look up and see a mountain of work. Rather than scaling the mountain, we become paralyzed and encamp at the bottom. 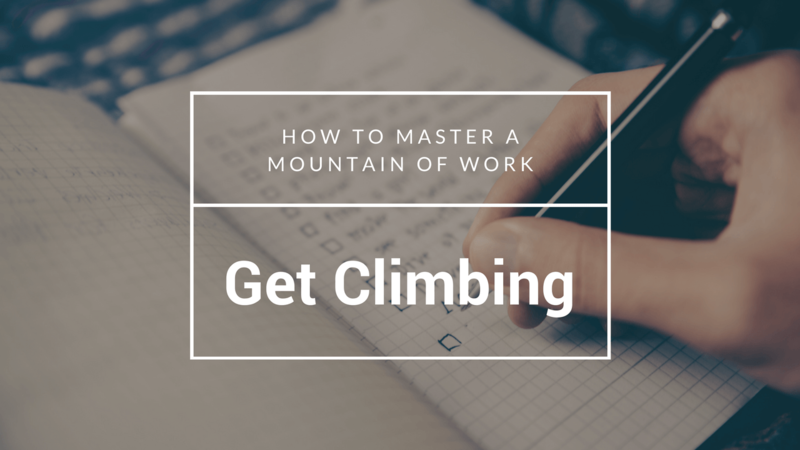 Bring some clarity to your job by labeling your tasks and get climbing!